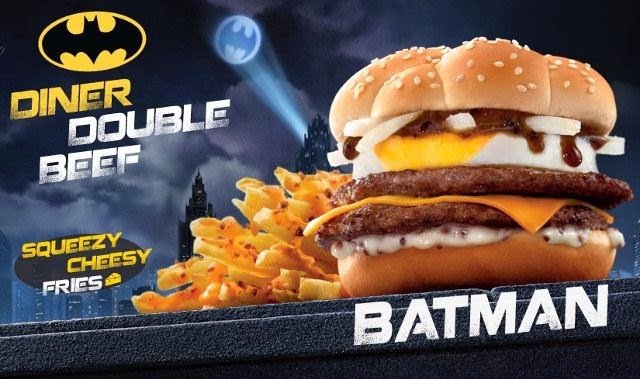 BAT - BLOG : BATMAN TOYS and COLLECTIBLES: McDonald's in Hong Kong Introduces the #BATMAN BURGER! McDonald's in Hong Kong Introduces the #BATMAN BURGER! The McDonald's Restaurants in Hong Kong have come out with a "Batman Burger" as part of a line of JUSTICE LEAGUE Superhero-Themed Meals. 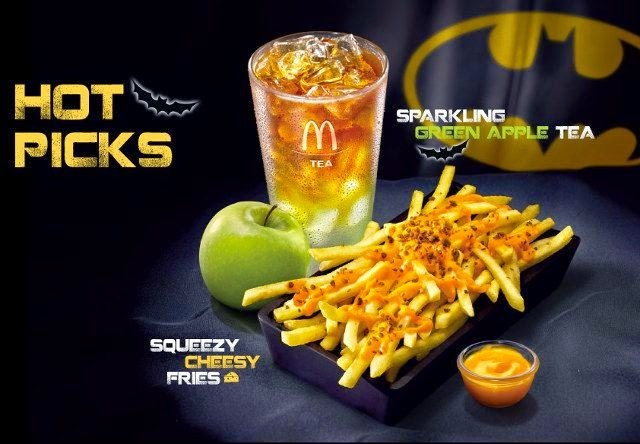 The BAT-MEAL also comes with Squeezy Cheesy Fries and a Sparkling Green Apple Tea Beverage, sounds so yummy! 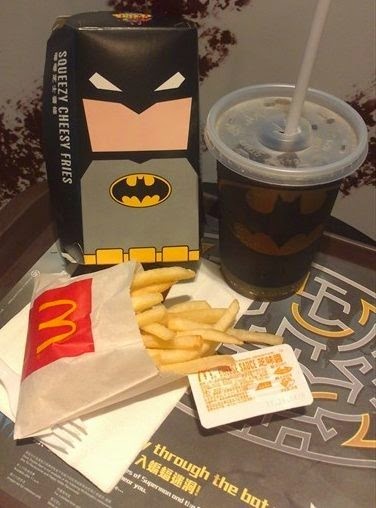 Hey, I actually wouldn't mind owning one of those "Batman French Fry Container" boxes, ha! Here is the TV Commercial that is airing in Hong Kong, so AWESOME!